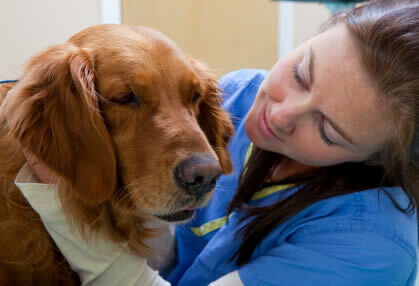 Are you thinking about changing careers to become a vet tech? Switching careers can be a very intimidating process, but in the end most people find that everything works out for the best. If you’ve been stuck in a mind-numbing career that offers no fulfillment, you owe it to yourself to at least consider a switch. Becoming a vet tech could be exactly what you need in your life to jumpstart excitement, passion, and a sense of fulfillment you never believed was possible for you! A wise veterinary technician once told me: “Find a job you love, and you’ll never work a day in your life.” If this is the kind of statement that really resonates with you, read on. Is Veterinary Technician The Right Job For You? Before you quit your day job and enroll in a vet tech program, it’s very important to spend some time considering if the career is right for you. After all, it’s not for everyone, and the point of a career change is to align yourself with your passions. The absolute best way to find out if becoming a vet tech is right for you is by talking with and shadowing vet techs at a local practice. By speaking first-hand with people who have been vet techs for years, and actually watching what they do (as opposed to reading words on a screen), you’ll learn and experience a ton of valuable information. To find a vet tech to shadow, get in touch with local veterinary practices. Explain that you are considering a career change and would like to know if there are any shadowing or volunteer opportunities available. You’ll be surprised at how quickly you’ll find a willing vet. A healthy dose of online research should supplementing your first-hand shadowing experience. There are countless articles about becoming a vet tech and vet tech career changes that can help you prepare for a big transition. Read as much as you can about salary, schooling, pros, cons, online vet tech degrees, and anything else you can think of. One of the most difficult parts of switching careers to become a vet tech is putting yourself through 2 years of schooling to obtain your Associate’s degree. Many people are switching careers later in life, and may not be able to attend a full-time program. If you fall into this category, I would strongly consider enrolling in an online vet tech program. These convenient degree programs let you work at your own pace and structure your schooling around your existing responsibilities. They are a perfect option for people changing careers. One caveat about online vet tech schools: these are serious degrees that have mandatory clinical coursework. What this means is that in order to graduate, you’ll need to do some hands on work with live animal patients at a local practice. Not every vet is going to let a random student complete clinical coursework at their practice, so you’ll need to establish a relationship with a willing clinical mentor before you enroll in a program. This is the biggest obstacle for most people who want to obtain their veterinary technician online degree. Read more: Can I get a job with an online vet tech degree? Many people who transition to a new career in veterinary technology are nervous about finding a new job. You may be older than the average student fresh out of college, and you won’t have much relevant job experience for your resume. Have no fear! There are actually a large number of people who choose to switch careers and become a vet tech. They all face the same problems with lack of experience, and inevitably, they all find well-paying jobs regardless. Most employers are sympathetic to your situation, and many will respect your courage to take control of your life and transition to a career you love. Simply explain your situation in your vet tech cover letter or during the interview process. Emphasize your commitment to working hard and let your prospective employer know how much your new career means to you! The main point is you should not have any worries or concerns about being discriminated against simply because you are new to the field. This entry was posted in Becoming a Vet Tech and tagged Become A Vet Tech, Online Vet Tech Program, Vet Tech Career, Veterinary Technician Careers, Veterinary Technician Online on July 21, 2010 by admin1.